If you’re someone who is looking for the spark that you’ve wanted to feel in driving, the desire to feel pleasure in driving once again, this is the car for you. The Subaru BRZ has everything that you love about driving, with extra comfort and safety added to this great vehicle. It’s a car that will allow you to feel the freedom that comes with driving, the fun you’ve lusted for when you’re in the driver’s seat, and the efficiency you crave in a car as well. This car has everything you could hope for, in terms of a car that can drive easily. If you’re the type who wants an engine that roars to life like a lion, this is for you. It’s built with the Subaru Boxer engine, which is a small but powerful engine, that allows you to turbo charge your driving and feel ease when you do so. The brakes are intimately connected with the steering wheel as well, which means you’ll feel confident the moment you press down on them. The fact that the brakes and steering wheel are so responsive means that you’ll be able to take the closest of turns with ease, and you’ll be able to brake without any worries. This car is great when it comes to features and it gives you the freedom you desire as well. The inside configurations stands out from the rest. It has the typical sports car setup, with the front engine, rear-wheel drive, but this car takes that sports car design to another level. This car comes with a very low center of gravity, meaning that it’s low to the ground and is able to be controlled easily. It also comes with a sport suspension system that allows exact and precise handling with every turn. Not only that, it’s got other features as well that are perfect not just for wild driving out in the open, but for everyday driving as well, allowing the system to cater to many people. The 2016 Subaru BRZ models included many new features, such as a new front console system, spokes on the steering wheel, a trim handle, a center instrument panel cluster, and even HVAC controls. If you’re a fan of red, look no further; this car comes in red with the 2016 models, and allows more freedom in your choice of car and handling. 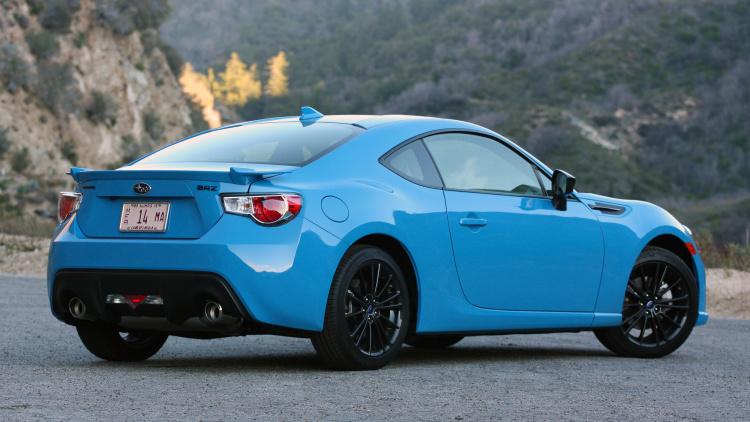 The 2016 Subaru BRZ is a car that is not only authentic, but is also one that works well for everyone. It’s a sports car that is safe, a car that is easy to drive, but also one that is fast and efficient. If you’re looking for an efficient sports coupe that works for you and caters to your driving, this is the perfect system for you, and something that you should take advantage of if you’re looking to take your driving to a new level. Concept Cars – A Vision into Future ​ – Remember the time, when watching a supercar from your school bus early in the morning used to be the highlight of the day? Can I Take My Rented Car To Oman From Uae For 5 Days Trip?